...inspired by this post on the Public Forum, I now have a Dan Henry 1970 incoming. 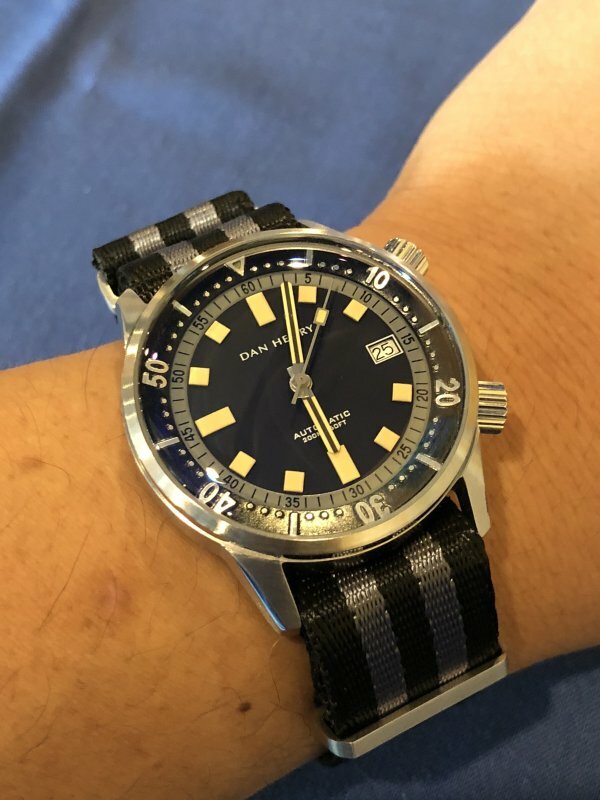 Nice riff on 70s style dive watches. The price is right too. I like all divers with the internal rotating bezel. That is a lovely vintage looking divers watch. Enjoy and wear in good health. 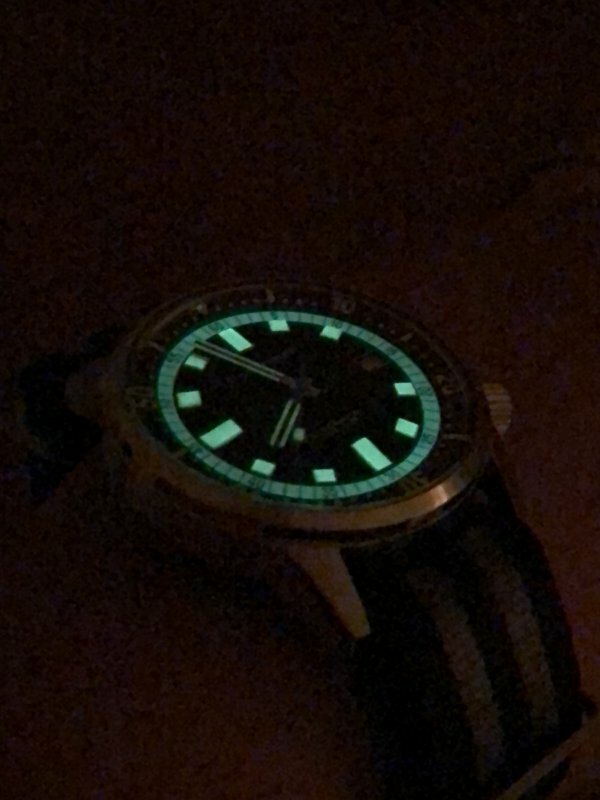 Man, love the lume on dive watches....thanks for this delicious shot. Plus that inner bezel lite up is pretty unique. I always wanted to try one. Which size? Congrats, that watch is really cool! Pardon the following dumb / simplistic question, but what is the purpose of the 2nd crown? I presume one crown is obviously for setting the time. Thank you in advance!